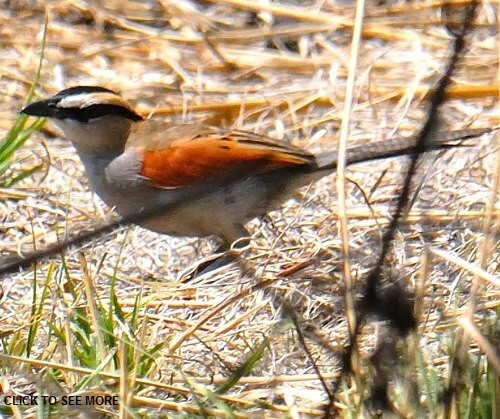 The black-crowned tchagra is larger than the brown-browned tchagra. 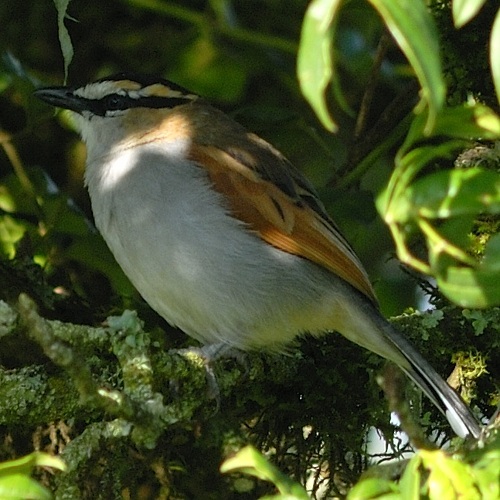 It is found in open bushed country, thickets, generally drier areas, habitat similar to that of the brown-crowned tchagra. The top photo was taken at Ngorongoro CA (1-14); the 2nd row photo, at Emayani (5-12) and the lower bird, at Katavi (8-06). 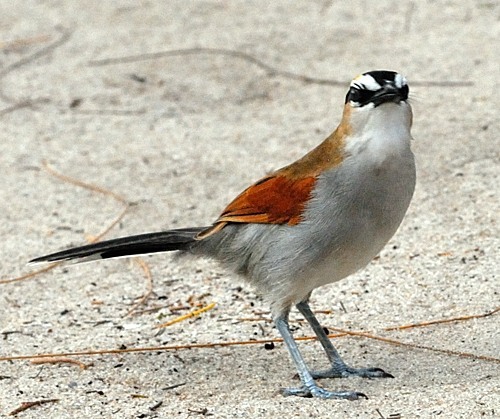 The mating display video (Morogoro, 8-17) is courtesy of Debra Buford. Click the lower photo to see 10 more photos.